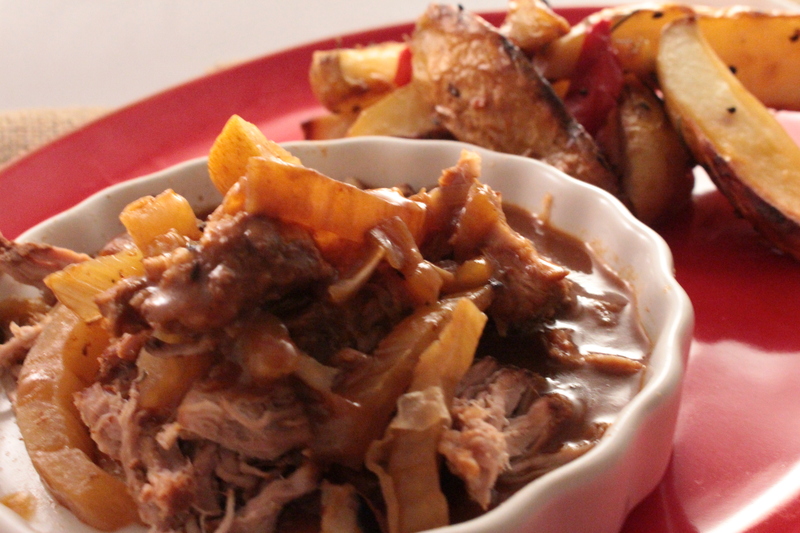 This delicious slow cooked pork recipe is slightly smokey with just a hint of sweetness. The onions and the fennel just about dissolve during the cooking process, if you do not like the taste of fennel your can omit it. 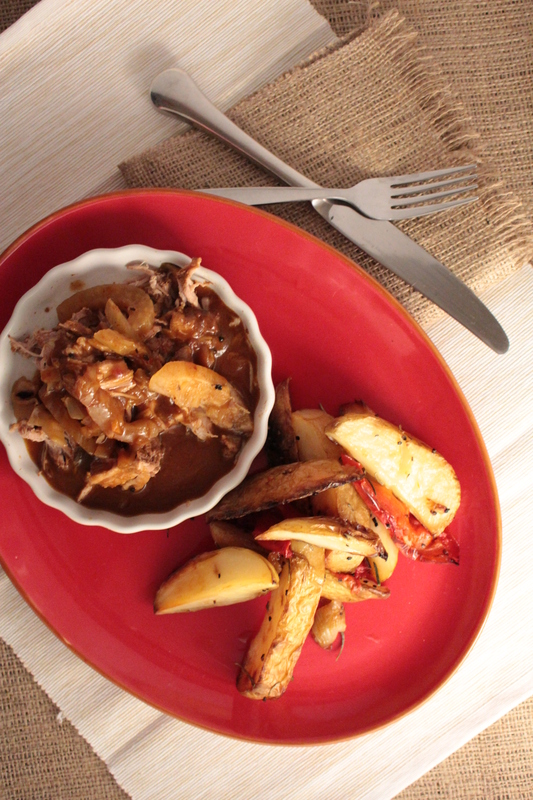 This pork dish is really versatile can be served on slider buns, tortillas on a bed of mashed/roasted potato or polenta. 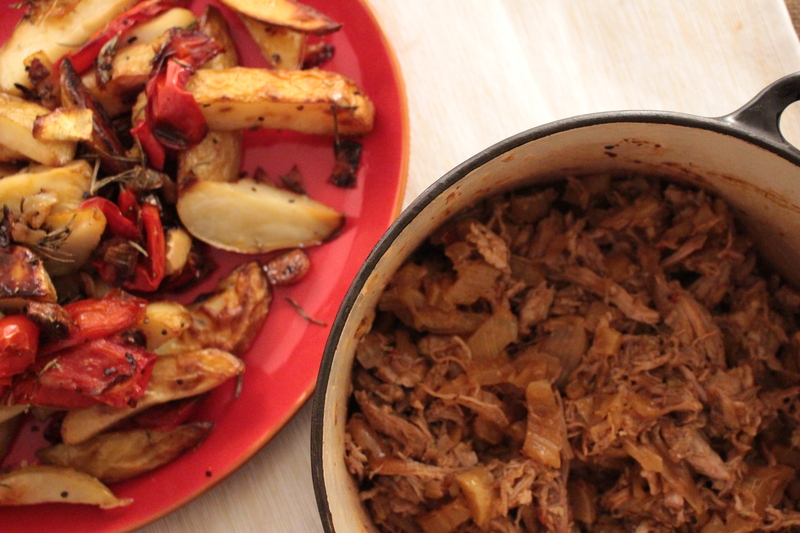 I chose to serve the pork with roast potatoes with a sprinkle of rosemary and a capsicum.